I'm actually not a big fan of the so-called "ballerina bun". 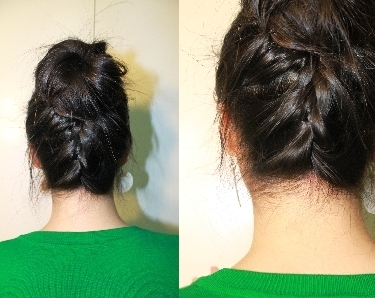 It never looks right or fitting on me and I really just prefer my hair down, but I saw The Beauty Department's post on this really cool hybrid bun which incorporated a French braid starting at the nape of the neck and I knew I had to give it a try. It took a bit of handiwork, but I got a really cool-looking result which was equal parts fun as it was practical. I'm sure it will look much better on you than it does on me! Click here for a how-to.